I returned from Washington late Sunday night, only to find I had brought a bad cold back with me. This is the kind of cold that makes me feel like the distance between my neurons has doubled, so that any thinking I might wish to do happens… very… slowly. So even though I don’t usually talk about events much on the blog, because I think maybe that is very boring for anyone who wasn’t at said event, that’s all I’ve got in me today. First, a few pictures. The location was truly gorgeous, right on a lake that tended to get misty in the mornings, with the rain forest on the hills behind the buildings. It rained a lot, not surprisingly, which was fine since I was supposed to be writing. 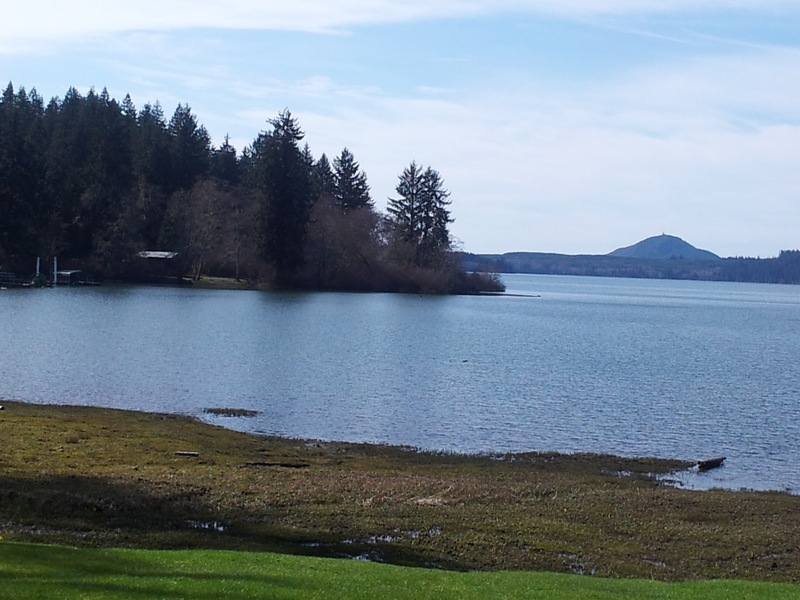 Beautiful Quinault Lake: what a view! 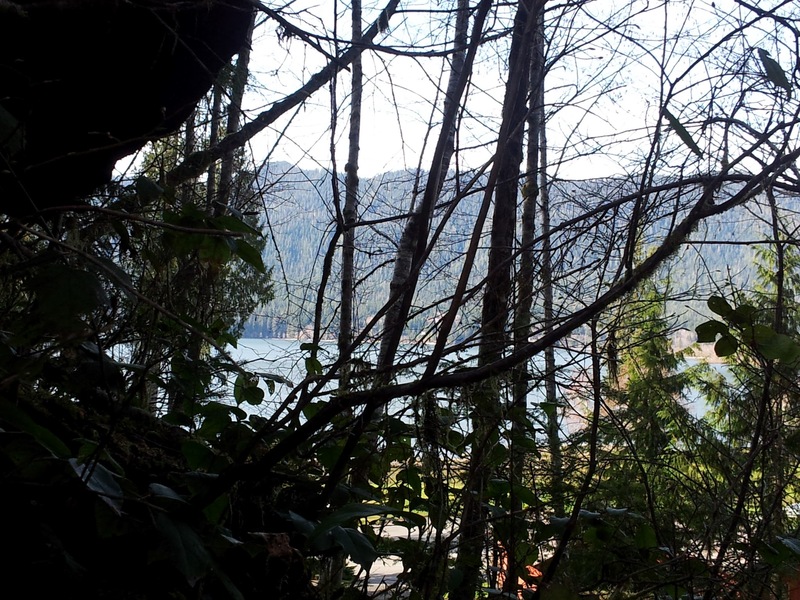 And here's the lake again through the trees. There was lots of moss in the rain forest. I was pleased with how much I wrote and found I was able to be more productive than my usual. I wrote until my outline broke. Of course, now I have to fix it before I can start again, and aforementioned neuron difficulties aren’t helping matters any. But figuring out how to fix broken outlines is actually one of the parts of writing I like best, even though I also enjoy complaining about it. But really the best part of the trip was the people. No big surprise there, of course. Put me in a room full of writers, and the likelihood of me meeting someone who I find fascinating and nice increases exponentially. So do my chances of encountering a kindred spirit, and really, there isn’t much in this world that makes me more happy than making contact with that elusive breed. Except perhaps spending even more time with them. And writing. I wonder if it’s a matter of depth, a trait all the kindred spirits I’ve met share. I don’t know if people who already have depth are drawn to writing, or if writing requires and develops depth in people. Or perhaps both? I don’t mean to imply that all people who aren’t writers don’t have depth (or contrariwise, that all writers automatically have it), as that is simply not true. But I do think the percentage of writers who have depth (or at least who express themselves in ways that reveal it) tends to be higher than average. I think I’d like to write more about kindred spirits when my thought processes are in better working order. But in the meantime, I must conclude in order to consume liquids and lay on the sofa like a rag doll. 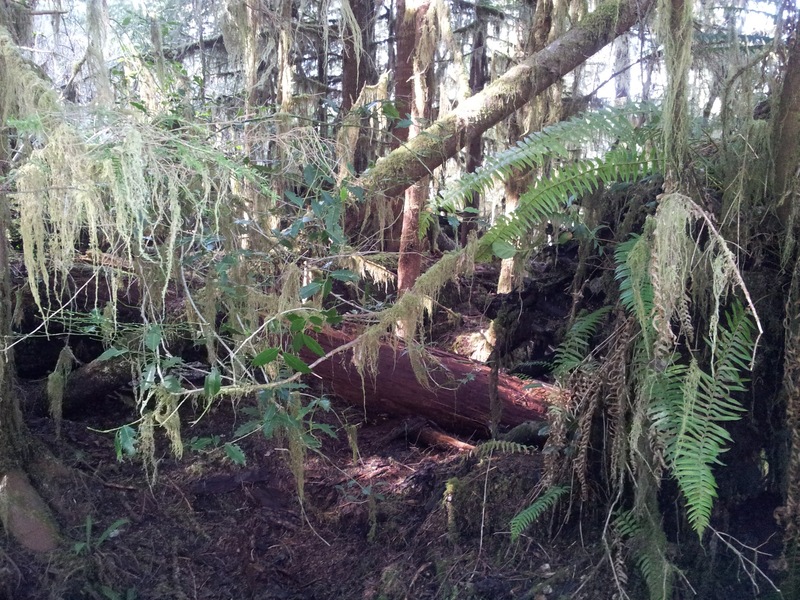 Suffice it to say I thoroughly enjoyed my time in the Quinault Rain Forest. and it’s nice to spend some time with kindred spirits, indeed. Hope you feel better, soon, Amy! I broke my outline the first full day and then fixed it enough to write more. Really a productive time, and lots of fun spending time with writers. So much outline breakage! I think maybe that’s what they’re for. And yes, very productive. I think I did about two weeks worth of work (aka ten days) in four days. that seems about right! I’m pretty happy with what I was able to accomplish. I really needed to set aside the time and work over/break some things to move forward. Me too! I am disappointed it conflicted with so many other events (and ONE in particular), but it’s hard to argue with 10k words. Love the photos – so glad you had a good time and I hope you feel better soon! Wise words. Strangely enough, I didn’t even realize until yesterday that I wrote until my outline broke. Or maybe, I wrote until my outline got crazy-vague. I looked at the last scene I’d been working on at Rainforest, then the outline … oh, crap. Though I’m very glad to realize it now (so I can stop and fix things) rather than when it’s time to revise. That’s how I made a mess of the previous novel. ::rubs hands together:: Time for some brainstorming. Am already definitely on the mend, just on the sleepy side. Was great to meet you too–can’t wait until next time!